Hand Fan Helvetica. 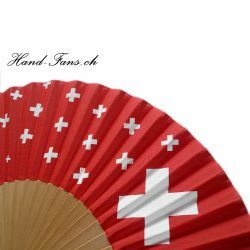 Beautiful printed hand fan made of wood and red cloth with the Swiss cross printed on. 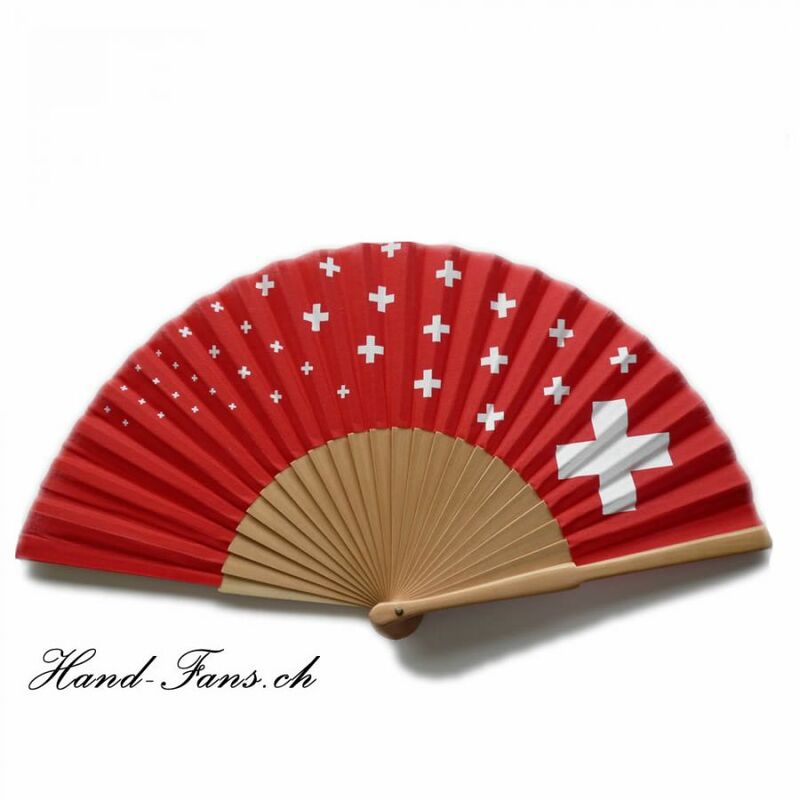 Ideal for the hot, Swiss National Day celebrations, or all other celebrations of Switzerland or just to show nationality with a cool head. 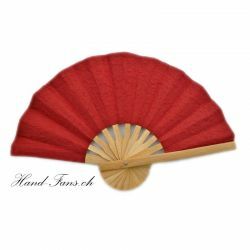 Beautiful handmade bamboo hand-fan by artisans with Saa paper in natural red color. 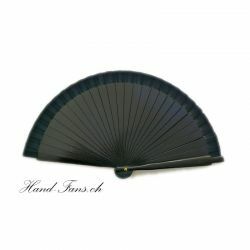 These folding fans are also made with a natural bamboo frame. With their hand colored background color, these folding fans are the ideal fans for a party and for the guests. 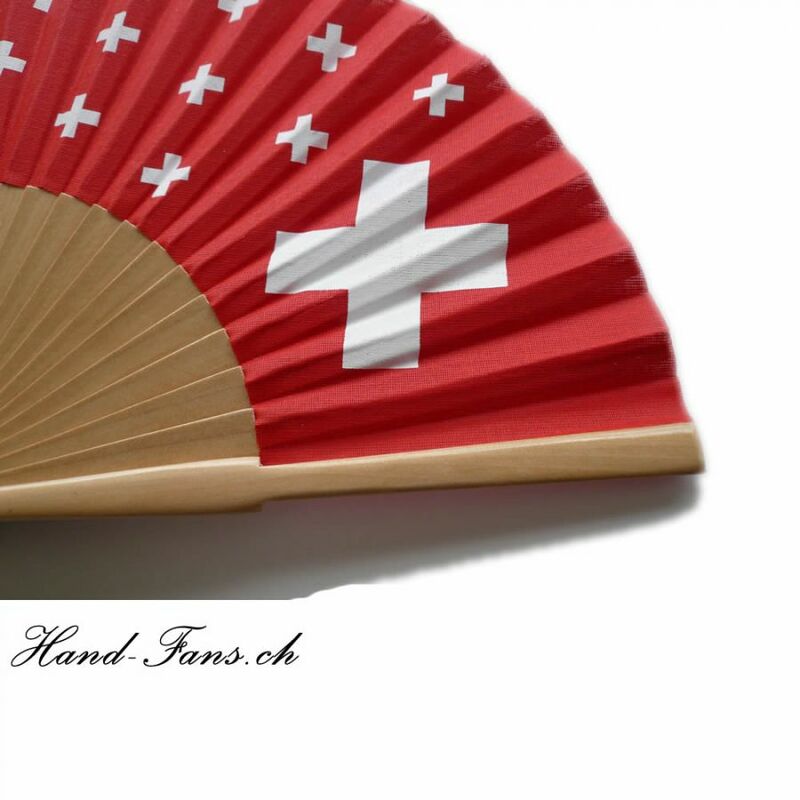 Hand Fan hand-fans.ch Special. Plain but beautiful Hand Fan from pear - wood and vinous cloth without the writen decoration "Hand-Fans.ch". 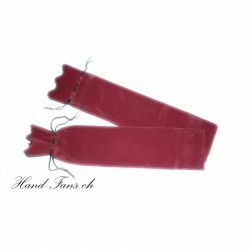 Ideal for daily usage. 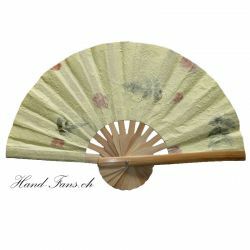 Beautiful handmade bamboo hand-fan by artisans with Saa paper in natural yellow color, decorated with flower blossoms on the Saa paper. 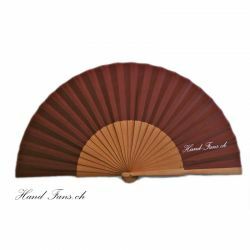 These folding fans are also made with a natural bamboo frame. 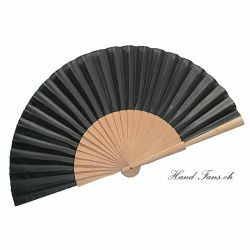 With their hand made paper, the yellow background color, these folding fans are the ideal fans for the bride and attendants and ideal wedding favors for the guests.